Alright, I'm just going come out and say it. We love getting dirty. But of course we enjoy the feeling of clean. Fresh air, fresh sheets, fresh floor, all fresh everything. The custodian of house care, the dean of clean, Brandon House Cleaning has been proudly serving the beautiful people of Brandon, Manitoba (along with their dirty houses) for a very very long time. During that very very long time, I think it's safe to say we've gotten pretty darn good at cleaning just about anything! Stains and dirt be like, "Peace out," when they see us roll up in our (admittedly) kind of creepy company cleaning van. But any ol' house cleaner can toot their own horn, right? 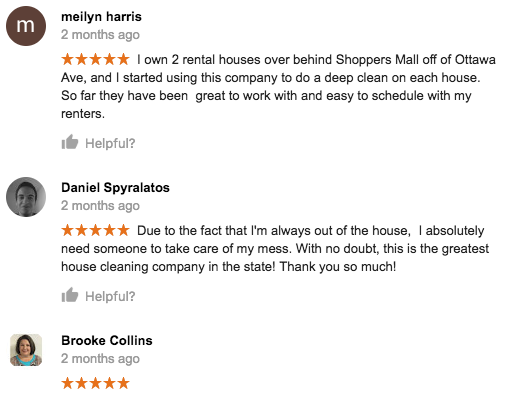 I mean, how much difference can there really be from one Brandon, MB area house cleaning service to the next? Good point, my carpet cleaning cynic. Don't just listen to us -- hear our happy clients.